George Gallup was a pioneer in the field of public opinion polling. He developed methods for perfecting the selection of sample populations (a small group that resembles the population as a whole), interviewing techniques, and formulation of questions. He also was a teacher and a supporter of educational reform. George Horace Gallup was born on November 18, 1901, in the small town of Jefferson, Iowa. He was the son of George Henry Gallup, a farmer as well as a real estate dealer in agricultural land, and Nettie Davenport. As a teenager, Gallup worked as the manager of a dairy farm and used his salary to start a newspaper at his high school. All of young Gallup's higher education took place at the University of Iowa, where he received a bachelor's degree in 1923, a master's in 1925, and a doctorate in 1928. On December 27, 1925, he married Ophelia Smith Miller. They had two sons, Alec Miller and George Horace Jr., who carried on their father's polling organization; and a daughter, Julia Gallup Laughlin. Gallup's career as a teacher began after he received a bachelor's degree and stayed to teach journalism and psychology from 1923 to 1929 at the University of Iowa. He then moved to Drake University at Des Moines, Iowa, where he served as head of the Department of Journalism until 1931. That year, he moved to Northwestern University in Evanston, Illinois, as a professor of journalism and advertising. The next year he moved to New York City to join the advertising agency of Young and Rubicam as director of research (later as vice president from 1937 to 1947). From 1933 to 1937 he was also professor of journalism at Columbia University, but he had to give up this position shortly after he formed his own polling company, the American Institute of Public Opinion (Gallup Poll), in 1935, where he concentrated on attitude research. He was also the founder (1939) and president of the Audience Research Institute. Apart from these business positions Gallup was active in professional and public service groups. He was president of the International Association of Public Opinion Institutes, from 1947 to 1984, and of the National Municipal League, from 1953 to 1956, and chairman of the All-America Cities Award Committee, a jury which selects All-American cities on the basis of intelligent and effective citizen activity. He founded Quill and Scroll, an international honor society for high school journalists, and served as head of its board of trustees. By 1944 George Gallup was widely recognized as one of the major pioneers in public opinion polling and had participated in the creation of methods to achieve a high degree of accuracy in discovering the public's opinions on a wide variety of issues. Gallup had firm beliefs in the validity of polling. In fact, he believed that polls made a positive contribution to the democratic process. 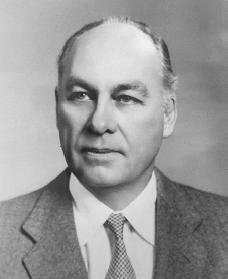 George Gallup was best known for creating a business of discovering people's opinion on issues. But he was also an educator—and this experience, plus his study of the attitudes of millions of people, led him to develop a set of basic principles of education which he described in The Miracle Ahead (1964). The collective views of people, he recognized, are usually sound and logical; people are not led by their emotions as some people claim. However, their thoughts about issues are not deep enough. To achieve greater and more rapid progress, a new education system must be created to enhance our mental powers. Gallup was particularly positive toward the case history method of teaching, which offers "perhaps the best method that mankind has yet found to transmit wisdom as opposed to knowledge." George Gallup was involved in his career right up until his death. He was traveling in Tschingel, Switzerland, when he suffered a massive heart attack on July 26, 1984, and died the next day. He was eighty-three years old. Cantril, A. H., and Charles W. Roll. Polls: Their Use and Misuse in Politics. New York: Basic Books, 1972.